Hank discovers an elixir that gives him a huge burst of energy-Sally May’s bucket of root stimulator. 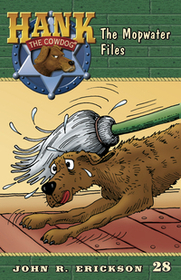 It gave him such a kick, he challenges Rufus, the Doberman Pincher to a fight, only to discover that Sally May has filled the bucket with mopwater. Big trouble for the Head of Ranch Security.